Kristen (and others below) shared reviews of the GoodBudget app. It is a free app which is available for both Apple and Android, and which was formerly known as EEBA. It uses the idea of the envelope method for budgeting. 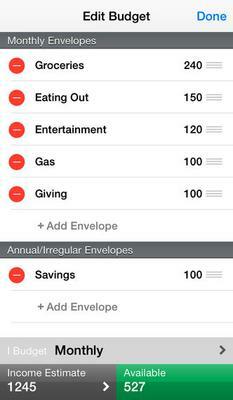 The Easy Envelope Budget App changed to GoodBudget recently. I only began using it after the change. My husband was not thrilled with the idea of my walking around with envelopes of cash and carrying around a sheet of paper with the information was not working, so this seemed like a good compromise. It has turned out to be! I like that I can use it on the computer or my Android phone (Samsung Galaxy S3). I do wish there was a way to zero out all the envelopes at the end of the month in one fell swoop (and maybe I just haven't figure it out yet) but that is my only complaint. Others who used EEBA before the change are complaining though--saying that the former app was better. I can't compare, but I'm pretty happy with the GoodBudget app. Thanks so much for this review Kristen. I've got some additional reviews below of this app when it used to be called EEBA. 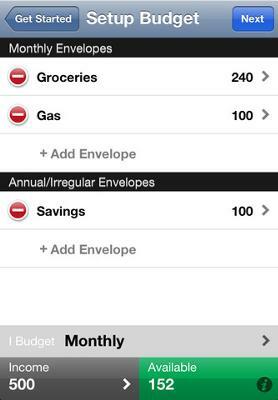 An HSS101 reader shared an app she loves, the Easy Envelope Budget Aid (EEBA) app. 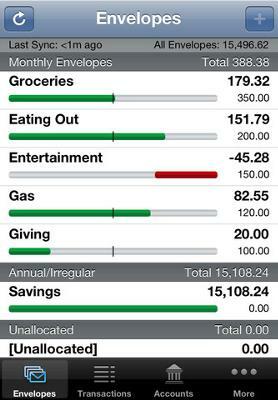 This is a budget app using the envelope system. 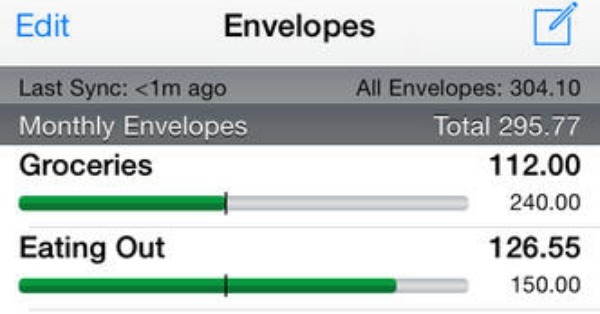 I love this app because I like the concept of the envelope system, but don't like carrying around envelopes full of money. 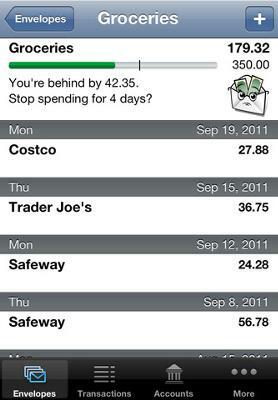 This app allows me to use my credit cards, but still stick to our budget. 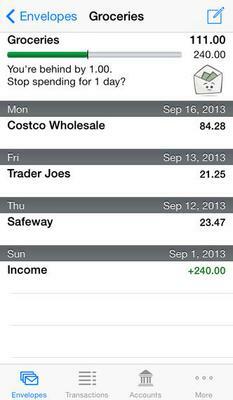 Thanks so much for sharing which budget and financial app you like the most! As I mentioned before this app is free, and available for both Apple and Android products! In addition to this envelope budgeting software program, I have also personally tried Pear Budget (click to read my review and information about it), and have really enjoyed this. 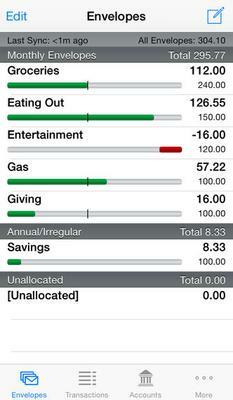 I'd love to hear from even more people who have used this or any other home budgeting or financial apps, sharing what you think about them, good or bad. This is a wonderful budget system. I can manage all my monthly expenses online! I highly recommend this program and it is accurate, convenient, and easy to utilize from my iphone, ipad, and PC. You can read my recommendations for great organizing apps in the HSS101 App Store, or share your own reviews and recommendations. I LOVE this app! It has helped me budget my money for about 6 months. I love this app! 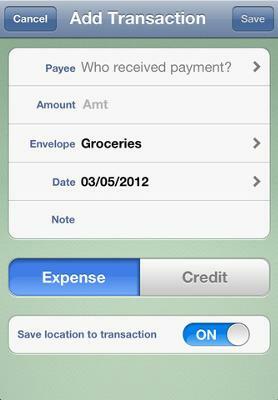 It helps track spending w/out having to enter your bank details. I love trying to come in under budget each month! Love this app! Since we started using it we haven't hit our overdraft. Also reduces "fights" about money. If it's in the envelope we can spend it. If not we wait. Also can use it on your PC. I've had it on my phone for months, but haven't used it yet! You kinda need to do a budget first and we just rebooted that last week. I have been using Goodbudget/EEBA for almost 2 years I love it - it fits very well with our virtual envelope/Dave Ramsey system, and they have excellent tech support. I love this app! It has saved us from going over so many times! I use budgetease.com which allows me to text or use siri to enter my expenses as they occur at the check out and it also will send my wife and I an instant text on how much money is left in our envelopes. Great when shopping at the same time in different locations, for instance where we are trying to conquer our christmas list. It does cost $6 dollars per month but there are no ads and it is really effective to help my wife and I stay on point. My husband and I use this app and love it! We don't have to carry cash but we can still keep track of our budget!!! There is a way to zero out at end of month. I do it online and I just reset the values of the envelopes. Then my app is updated. I've been a mint.com user for 5+ years and it has completely changed my life. I have paid off credit card debt, planned for and saved for big purchases, increased my wealth, organized my financial life, changed my financial behavior, i.e., spend less thank you make. Always. I see links for iPhone or android. Is there a version for iPads? If you go to "add money", you can reset all envelopes to the budget amount at the end of every month. That’s what I do. It doesn’t roll over an extra from the previous month but I like starting out with the same amount each month.